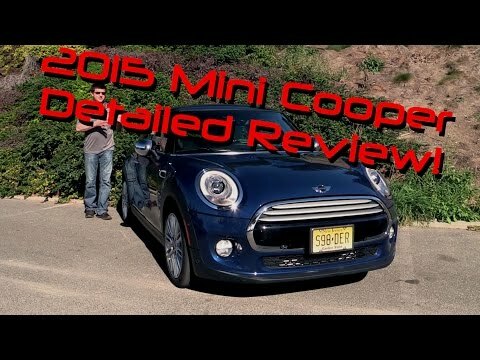 Whether it's the 2015 Mini Cooper Convertible, the Cooper S Convertible or the John Cooper Works Convertible, there's a flavor for anybody looking for a compact, good-looking, fun-to-drive convertible. The cool little convertible differentiates itself from its competition through its one-of-a-kind styling, zippy handling and wide variety of customization options. Mpg and a few others for a mini cooper s.
The blind spots are really bad on the passenger side of the vehicle. It didn't come with an alarm, cost about three hundred dollars for the alarm and an additional six hundred to have it installed. I would recommend that you have it done before taking possession of the vehicle. The vehicle is mainly used to travel to and from work. I live about twenty five miles from work (one way). I get an average miles per gallon of approximately twenty nine miles per gallon. I did purchase the extended maintenance with the vehicle. It was an additional fifteen hundred dollars on the purchase price. The vehicle is being serviced by the dealership about once every eleven months. Don't ask to drive it! Her name is Ruby and she has amazing bling and get up and go. She also gets really good gas mileage. Miniacs! I love the great design - and the bling that I have. I love that it is a 6 speed on the floor, making it super fun to drive. I love the awesome gas mileage. I don't like having to pay premium for gas, but don't want to void my warranty. I love that while it is small, I've never gotten stuck in the snow or had any issues. And it is super easy to park. Rule #1: Always wave at other Minis! When driving this vehicle, it feels like you're in complete control. The vehicle in close to the ground and a manual transmission so it's all on your hands. Also these vehicles are very safe, and have a strong frame. It is a 6 speed manual transmission. The vehicle has two doors, which I originally loved, however now very much dislike. I have loved this vehicle for the last three years, but now need to get a new one, because we have a baby on the way, due in November. The MINI is also not a great vehicle to be driving in the winter, even if I could put the baby in the backseat.